Maria Kotova is a Global Business Development Manager and Senior Advisor at Dezan Shira & Associates based in Shanghai office. With a strong understanding of China regulatory issues, business environment factors, and industry services, Maria advises foreign businesses on corporate formation, taxation and legal issues for their investments in China and SE Asia. Maria co-heads DSA North America desk with the focus of helping US businesses navigate China and SE Asia markets. Her role entails working closely with US partners overseeing support and collaboration on clients, FDI knowledge sharing, as well as business development and marketing campaigns in the region. She is leading US larger, multi-location and complex accounts and projects. Maria is also an in-demand speaker at international events on legal, tax and financial issues in SE Asia and consistently contributes business intelligence publications to the firm’s publishing company, Asia Briefing Ltd., and acts as a key thought leader providing comments to South China Morning Post and other internationally recognized publications. Prior to joining Dezan Shira & Associates in 2013, Maria worked in both international and domestic business advisory firms in China. Her work included analysis on corporate tax structuring, equity transfers, profit repatriation issues, cross border transactions, analysis of legal and tax implications under M&A and corporate restructuring of Asian groups. Maria also worked as a manager of communication department developing focus personality analysis (FPA) strategies. Maria has a master's degree in Management and Chinese from South China Normal University and a bachelor's degree in International Affairs and Relations from Saint Petersburg State Polytechnic University. She also holds a certificate in Chinese studies from Liaoning University. 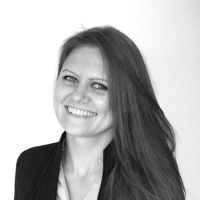 Maria also heads up the firms Russia desk and assists Russian clients with their plans for China and the rest of Asia, liaising on their behalf with our offices throughout the region.